Q: If I am looking for something that you don't seem to have, can you get it for me? A: Absolutely. We are well connected and will make or find what you want. We have access to all the leading designers and manufacturers. Q: If the ring I like is shown in white gold, can I get it in yellow gold or platinum? 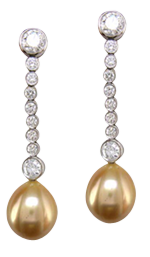 A: Yes, most of our styles are available in yellow and white gold, as well as in platinum. We will work with you to please. Q: What if I see an engagement ring that holds a round stone in the center, can I get it to hold a Princess-cut stone? A: Yes, most of our styles can accommodate a variety of different diamond shapes and sizes. We are here to help you. Q: What if I buy a piece of jewelry and she doesn't like it? A: We will do what it takes to please. We want you to be happy. Period. Q: My insurance company needs an appraisal. Can you provide one for us? A: Yes, in fact all of our significant purchases come with an appraisal report for your insurance company. Q: How do I know I am getting my money's worth? A: We source our selections to offer the best prices possible. Our quality has lasting value and we always stand behind what we sell. Q: What if a diamond comes out or there is a problem? A: We will apologize. Things do happen. Under normal wear and tear, we will take care of your jewelry for as long as you own it. Fortunately this is a rare occurrence. 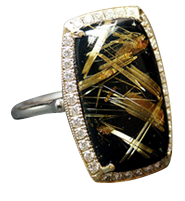 Q: The item I like is shown with a particular colored stone. Can I get it with another colored stone of my choice and color? A: We will be happy to do what it takes to please you. Just let us know. Q: I see something I like online, but I would prefer to see it in person before purchasing. Is that possible? A: Yes it is. We will work with you to have it available for your inspection and approval. Q: I see something I like but I want additional information before purchasing. What do I do? A: Please contact us either by phone or email and we will be glad to assist you. Q: I'm searching for an engagement ring, but I only see a limited selection online. Do you carry additional styles? A: The selection shown on our website is a sampling of the types of designs we carry, and is not our full selection. 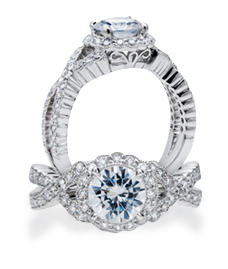 We can make or find that perfect ring for you or get a ring from the designer of your choice. Q: Will I be charged sales tax on my online purchases? A: No. We are not required to charge sales tax for orders shipped to states where we do not have a physical presence. Applicable sales tax will only be added for deliveries within TN and GA.
Q: Why buy from Kenneth Gordon? A: Trust. Expert Advice. Stability. And our compelling commitment to please. Discover the Private Jeweler Difference.